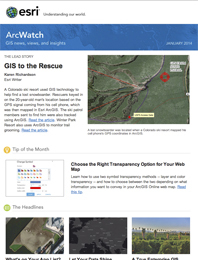 People who attended the Regional Municipality of York's GIS Day in Newmarket, Ontario, Canada, learned about a project to build a portal to increase access to authoritative regional data. For more than 100,000 people around the world, November 17–23, 2013, was more than an ordinary work or school week. It was a time to celebrate GIS and geography at more than 1,000 GIS Day and Geography Awareness Week celebrations. Reports about successful events came in from event organizers in many places, including Newmarket, Ontario, Canada; Palm Bay, Florida; Memphis, Tennessee; Yucaipa, California, and Redlands California. Here are their stories. Story maps, which combine maps, images, and text to tell stories, were a huge hit at the GIS Day event that the Regional Municipality of York hosted in Newmarket, Ontario, Canada. The participants included government and school board officials; conservation authorities; GIS and information technology professionals; road engineers; water and wastewater engineers; planners; health service providers; and legal, finance, and human resource professionals, among others. Before the event, they submitted photos of their favorite places in the York region, which the Regional Municipality of York’s GIS staff turned into story maps. 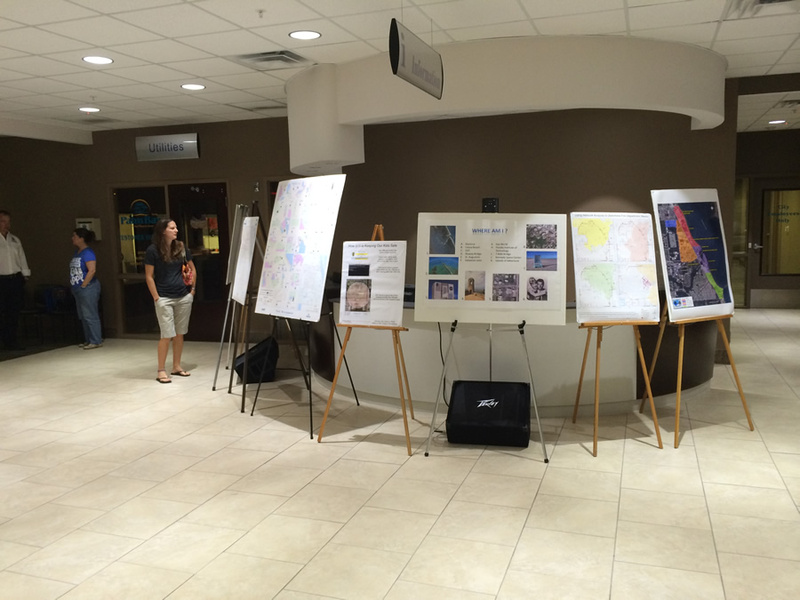 The City of Palm Bay, Florida, hosted a map gallery. This was meant to introduce and promote story maps as a solution platform that these professionals could use to provide information to the public about various services. 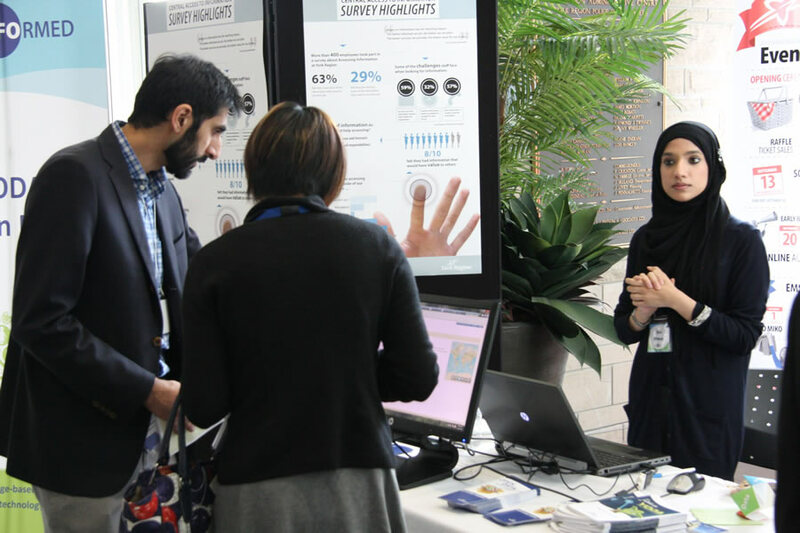 GIS Day in Newmarket was part of a more encompassing event called Get Informed, which focused on the importance and power of information, technology, and analytics, as well as centralizing access to regional information. Consequently, one featured presentation highlighted development of a portal for all authoritative regional data, according to Houweling. “Most people don’t know what information we have, so we’re building a metadata repository,” he said. The City of Palm Bay, Florida, hosted its seventh annual GIS Day event inside city hall after rain spoiled plans to hold “A Night under the Stars” in the building’s courtyard. Nevertheless, the celebration, scheduled after work, brought in a huge crowd, said event coordinator DeAnna Krishak, GIS technician III from Palm Bay Utilities. Because National Geographic Geography Awareness Week and GIS Day coincided, the event attracted about 800 people, including local residents, she said. People toured a map gallery inside city hall and used laptops to view the city’s interactive applications. 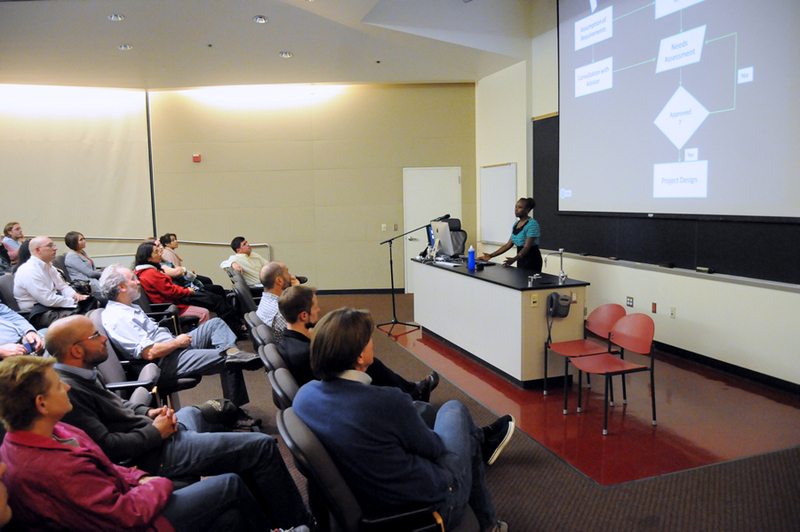 People interested in GIS listened to lectures at the University of Redlands in California. “We hid two geocaches in the courtyard, and luckily the rain let up so that people could go out and locate them,” Krishak said. Guest speakers were from local businesses such as Florida Power & Light, an investor-owned utility, and Waste Management and Wade Trim, a consulting company that provides engineering, planning, surveying, landscape architecture, and environmental science services. The talks mainly focused on route analysis and how utility and public works agencies use GIS for many aspects of work, including customer service. Very popular this year were two interactive exercises in which the hosts asked a group of children to draw a mental map of their school campuses—including bathroom locations, school mascot, water fountains, trees, and sports fields. “Then we showed how each of these things is a different layer in GIS, and we tied that into how we not only collect the data but also use it for different types of analysis,” Krishak said. Students also saw a video that Palm Bay created of a 3D model showing how long it takes for water to travel from the water plant to a school in town. Colonel Jeffery Anderson from the US Army Corps of Engineers spoke in Memphis, Tennessee, about the role of GIS in the corps' work. The Memphis Area Geographic Information Council (MAGIC) and the Tennessee Geographic Information Council (TNGIC) hosted a two-day GIS Day Conference. Papers were presented. A $2,000 scholarship competition for undergraduate college students also was held, along with a map gallery competition and social events. This year, the event was held at the Bridges Center in downtown Memphis, which is operated by BRIDGES USA, a nonprofit organization dedicated to inspiring young people to become leaders. The 2013 theme was “Decision Making Using GIS,” said Andrew McColgan, a computer software specialist with Memphis Light, Gas and Water Information Services, the sponsor. 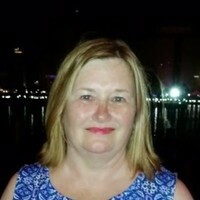 A new, very popular session this year, called The Doctor is In, gave people with a particular GIS problem or question the opportunity to meet in small groups or one-on-one with local GIS experts, said McColgan. Eighteen presentations covered topics ranging from building extraction from lidar point data to using GIS to identify employment areas. 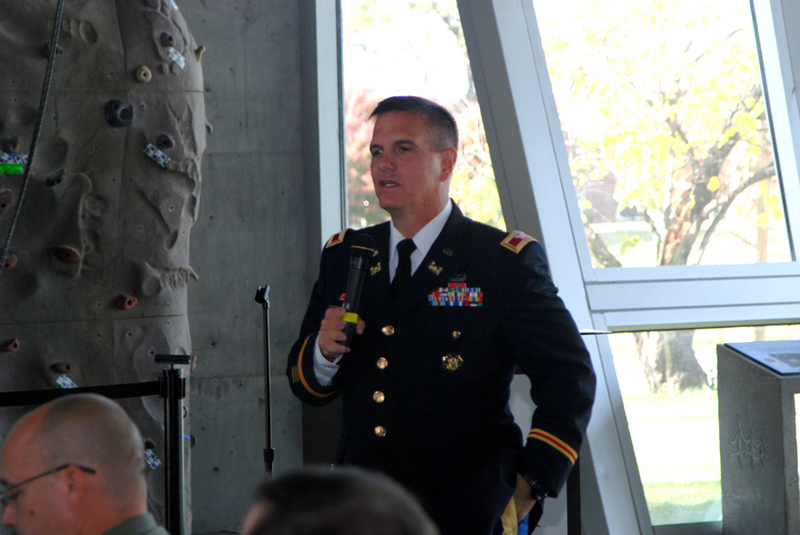 According to McColgan, the main attraction was the keynote luncheon, where Colonel Jeffery Anderson, commander of the Memphis District of the United States Army Corps of Engineers, spoke on how important GIS is for not only levee and flood control, disaster response, resource management, and river navigation but for military operations as well. 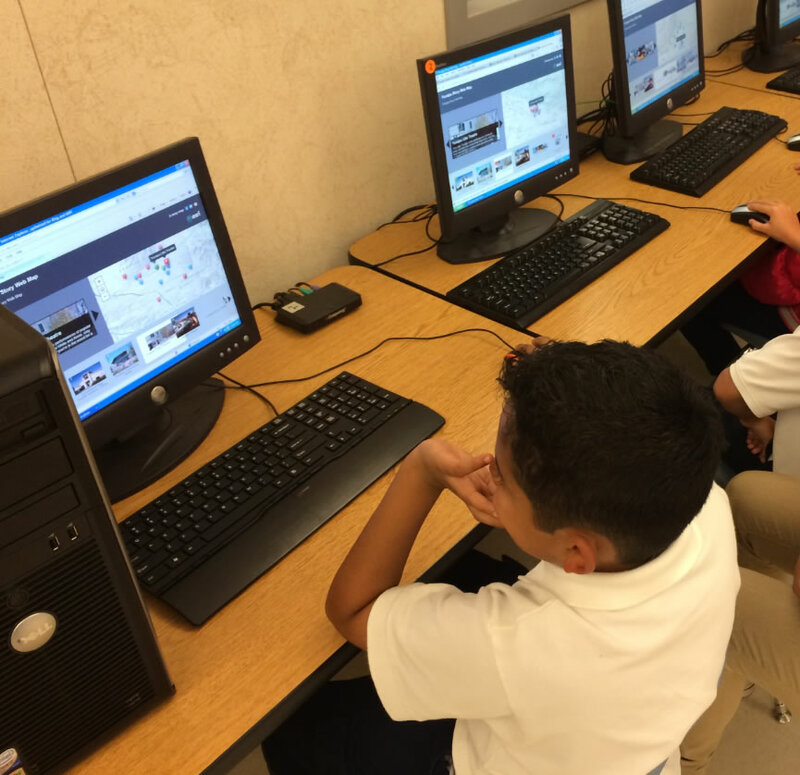 Students at Competitive Edge Charter Academy in Yucaipa, California, use their computers to view story maps. Competitive Edge Charter Academy (CECA) in Yucaipa, California, hosted its first GIS Day event this year. Esri solution engineer Justin Fan; Jennifer Ares, water resource manager for the Yucaipa Valley Water District; and Valesca Lopez, International Baccalaureate (IB) coordinator at CECA, presented the introductory videos to the entire student body in three separate assemblies on the first morning. The school’s computer labs were busy on both days hosting GIS Day classes from kindergarten through eighth grade. “Every teacher and every student who spoke with me said how incredible the programs are,” Lopez said. Lopez said three computer lab assistants were on hand to help the students, and student leaders were “amazingly helpful” in providing the children assistance as they did map searches. Kindergarteners and first graders viewed the Yucaipa Story Web Map that a CECA student created of attractions such as Yucaipa Regional Park and noteworthy sites like city hall and the Yucaipa Soccer Complex. Students explored web and story maps such as the popular Weird and Wonderful Inland Empire. Nearby in Redlands, California, Esri joined the University of Redlands and the city of Redlands (U of R) to co-host a GIS Day celebration at Hunsaker Plaza on the U of R campus. Many interesting apps were showcased including the City of Redlands’ 311 smartphone app for geotagging, adding photos, and reporting problems to city officials. “Most of the reports we get [with the app come] from residents [about] issues with graffiti, potholes, abandoned shopping carts, and code enforcement violations,” said Tom Resh, GIS supervisor for the City of Redlands. Another app at the U of R that captured people’s attention was the Where are you from?? app and map created by the university’s Redlands Institute. The app lets people add and map their location by ZIP code. Presented on a large touch table, the app showed heat maps of where current University of Redlands students come from and profiled the projects completed by the master of science GIS students at the university. The app intrigued sophomore Michelle Villagran, an environmental studies major. “Technology like this lets you see and analyze data in a way that makes sense and interests you,” Villagran said.